Welcome to Sabcor Inc. General Contractors. We are located in Windham, Maine, and work throughout the Sebago Lake Region and Greater Portland,Maine. 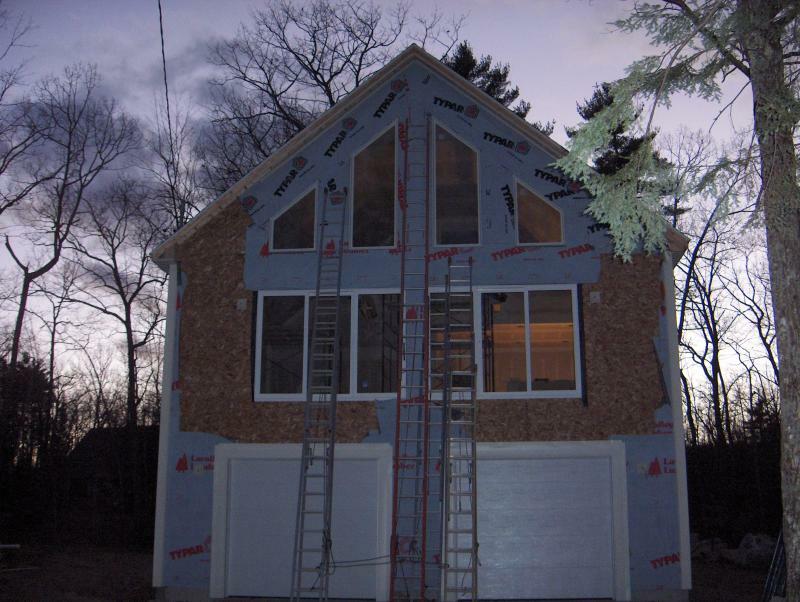 Above is a Lake front home we remodeled on Raymond Cape. At Sabcor we do all Phases of residential construction. In the above picture is a lake front home that we built from the groud up. The owner is finishing the front in stone as he has a mason in the family. Full garage daylight basement with cathederal ceiling in great room. Located on Panther Pond.